The newly edited and revised edition of Here’s To Tomorrow by Teagan Hunter is AVAILABLE NOW on Amazon & Kindle Unlimited! Go one-click Rae & Hudson’s must read story today! 99 cents for a limited time or FREE in Kindle Unlimited! Here’s To Tomorrow by Teagan Hunter was amazing and I absolutely loved Rae and Hudson’s story! The storyline and characters were extremely interesting and entertaining, and I loved the abundance of humor and sarcasm throughout. I know that Ms. Hunter re-edited and revised Here’s To Tomorrow from it’s original version, which I didn’t read, but I never would have guessed this had been her first novel. I really enjoyed her writing style and I thought she did an excellent job with every aspect of this book. Rae and Hudson were wonderful characters, and I couldn’t help but fall in love with them and their story. I loved their personalities and chemistry together, and how their relationship progressed throughout. The pacing of this story was excellent, and I was always thoroughly entertained. Hudson’s seven-year-old daughter, Joey, was adorable and I loved the addition of her character to the story. She definitely made me smile on more than one occasion, and I honestly can’t tell you how many times I laughed out loud while reading this book. 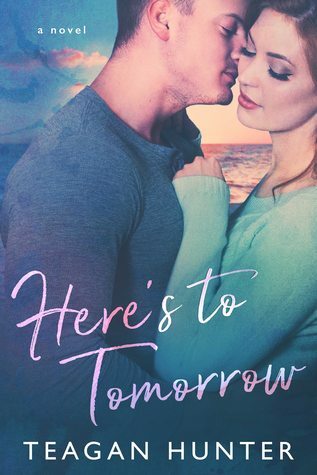 Here’s To Tomorrow was written from both Rae and Hudson’s perspectives, and I loved getting to see what each of them was thinking and feeling throughout. 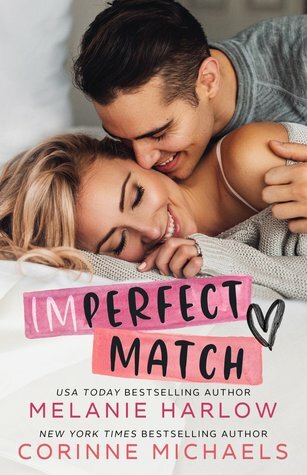 Rae and Hudson were a perfect match for each other, and I couldn’t have been more pleased with the outcome to their story. All of Rae and Hudson’s friends were wonderful, and I loved the extra depth and entertainment they added to the story. They were all a very tight-knit group, and I loved the close bond and camaraderie between them. It definitely made me want to dive right into the next installment in the Here’s To series, Here’s To Yesterday. Here’s To Tomorrow was humorous, heartfelt, and entertaining, and I loved reading Rae and Hudson’s story. I was extremely happy with the conclusion, and I can’t wait to read more about them and all of the others characters I have come to love in the rest of the series! I won an ARC of Here’s To Tomorrow by Teagan Hunter on her Instagram. Thank you so much! FIVE “Rae & Hudson” STARS! Thank you so much! You’re so sweet. I loved this book too and I immediately started reading Here’s To Yesterday. I only have about 100 pages left, and I’m loving it so far. I can’t believe it took me so long to read these books! Great review, Sabrina! Thank you for liking mine!